Courtney took Mr. Parks and United Notion out again in the Novice division for the next-to-last event of the season. In addition, Kelley rode Scout at Novice and our working student, Jasmine, took her horse, Bella, out at Beginner Novice for their first horse trial together. Mr. Parks had an excellent dressage test, scoring a 30 (70%) that put him in 3rd place heading into the jumping phases. Courtney on United Notion and Kelley on Scout were in the same Novice division and both had very good dressage tests, with Scout earning a 30 as well and Notion getting a 30.5, good enough for 4th and 5th place respectively after dressage. Mr. Parks and Scout finished on their dressage scores and Notion just had one stadium rail, but all three showed good form and confidence through the stadium and cross-country jumping phases. Mr. Parks managed to garner his first Novice level win, and Notion finished sixth. Kelley and Scout had their best finish to-date, both in terms of their final score (30.0) and placing (2nd). Jasmine and Bella had been working very hard coming into this event, and there were a considerable number of challenges for them to overcome. 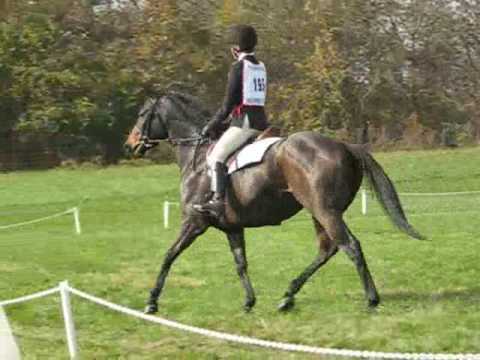 It was Bella’s first time competing and being ridden away from home. They displayed many of the improvements that they had been working on in flatwork during the dressage phase. They lost a little bit of focus in stadium and ended up with 8 faults but then had a terrific cross-country run to move them up to 11th place. It ended up being a very fun and educational weekend for all four competitors!